In an earlier article, we introduced the Loan Against Property (LAP) product and its key features. Here, we explore this product in a little more detail and discuss how it can be effectively ‘leveraged’ for your business loan needs. Amount of loan: While a lender will provide funding anywhere between 50% and 80% of the value of the property, you should be driven by what your actual need is and what your repayment capacity is. Both of these may imply a much lower loan value as compared to the property value, which is absolutely fine. Don’t over-borrow simply because you can. Type of property: While any type of property (residential, commercial, self-occupied, let out) that is free of lien is acceptable, the odds of approval and the proportion of loan value do come down if the property is in a bad condition, not constructed as per local bye-laws, or is in an unpopular locality. This is because the property serves as security and from the lender’s perspective, there should be minimal difficulty in liquidating it in the event of default. Documentation: Documentation relating to ownership of the property should be clear and complete in all respects. Along with the property related documentation, you will also be required to submit identification, residence proof, income, and networth related documents of your own. Loan Frame helps SMEs navigate the eligibility, evaluation, documentation, and approval process in a seamless and quick manner. Apart from hand-holding you in ensuring that your application has minimal chances of rejection, as a loan marketplace we also help to put you in touch with the right financing companies. This matching of risk profile with risk appetite helps to improve chances of approval. Here is an instance where we helped one of our clients who was having trouble raising a loan to set up his business. Using innovative structuring of a LAP, we helped this entrepreneur realise his dream of running his own enterprise. Most importantly, with interest rates coming down Loan Frame can help you to refinance your expensive LAP loan. A combination of negotiating for the right rate and the best advice can help you save a lot on your loan’s interest rate. 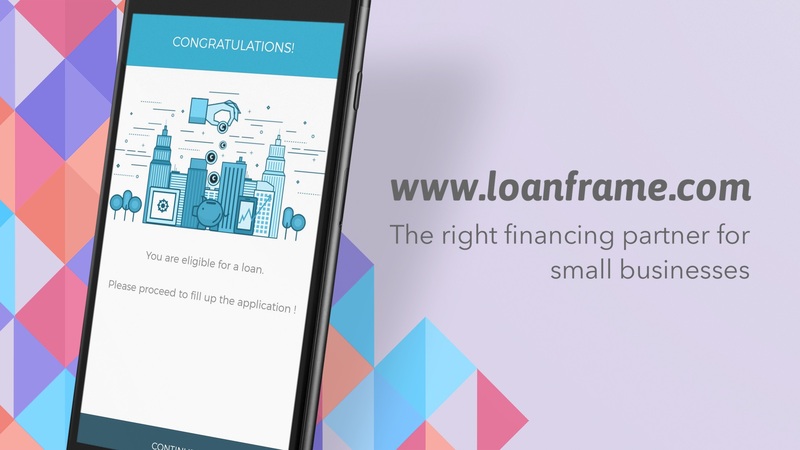 Start your E Loan application today at Loan Frame and discover a new way of borrowing.